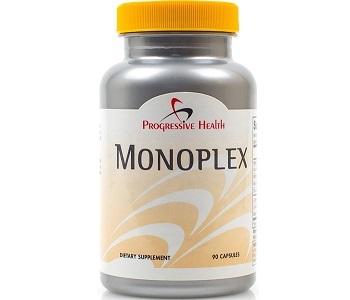 This is a review of Progressive Health Monoplex. 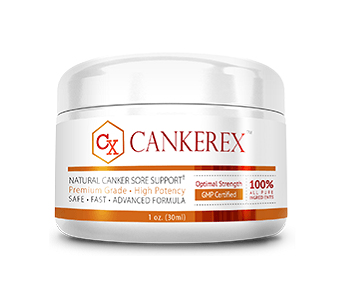 This supplement is designed to combat canker sores and prevent the outbreak of them in the future. The manufacturer claims that this product is a natural and effective remedy that provides fast results. We have assessed the reliability of this claim in order to help you make an informed customer purchase. The ingredients found within this formula are common to many competitor products because of their canker sore prevention properties. Zinc works with enzymes in the mouth to promote healing and soothe the wounds. Vitamin B12 deficiency has been proven to play a direct role in the formation of canker sores. Folic Acid is another essential bodily substance in which a deficiency can lead to wounds in the mouth. Iron is an important mineral for the immune system and, thus, plays a role in fighting the onset of sores in the mouth. Lysine is an amino acid that suppresses the outbreak and speeds up the healing process. Glutamine is argued to combat stress which plays a role in the formation of sores. Vitamin C is a powerful antioxidant that improves overall body health and supports the production of white blood cells for resistance against sores. In the right dosage, this formula may prove beneficial. The manufacturing facility is GMP compliant and this is positive to note as this certification is an indication of quality consideration. Adults should consume three (3) capsule daily. The manufacturer does not stipulate when these should be taken and if they should be consumed with food. The insufficient dosage instructions are rather concerning. Each serving supplies 5mg of Vitamin B12 which is common to many alternatives on the market. The manufacturer provides no precautions when using this product. This is concerning as customer reaction and tolerance may vary. Individual testing is required to test this claim, however, this can only be done after making a purchase. The product can be purchased from the manufacturer’s online store. A single bottle, which will last up to one month, costs $34.95. This is a relatively steep price to pay for a canker sore remedy. The manufacturer offers discounts on bulk-buy deals. While this encourages long-term use, it is likely compensating for the substantially high price per bottle. The manufacturer claims to offer a 180-day money-back guarantee. At first glance, this is a very lengthy and appealing guarantee. However, the policy is vague and confusing. The manufacturer states that products can be returned if customers are unhappy with results, however, only unused products are eligible for a refund. Customers are, therefore, unable to test product efficacy before committing to a purchase. This convoluted policy is very concerning. Furthermore, there are mixed customer reviews for this product. Many have claimed that it failed to deliver positive results. These reviews are subjective and indicate that results will vary extensively. This product has several appealing selling points. It contains a correctly dosed formula of beneficial ingredients. The additional purchasing options encourage long-term use. That said, the standard price is costly. The guarantee is convoluted and tested products are not eligible for a refund. The mixed customer reviews cannot vouch for foolproof product efficacy. These are a few of the reasons why we suggest searching for a more proven alternative.